Stress perfusion imaging is useful in risk stratification of patients with known or suspected coronary artery disease. In the current era of managed health care, there is a need to provide data on patient outcome. 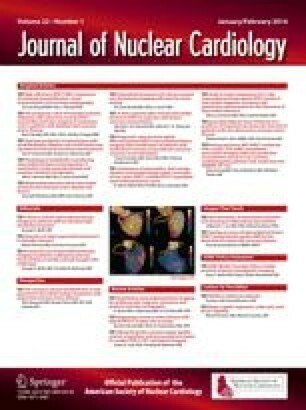 This study examined the impact of exercise single-photon emission computed tomographic (SPECT) thallium imaging on patient management (the subsequent need for coronary angiography and revascularization) and outcome (the occurrence of hard cardiac events defined as cardiac death or nonfatal acute myocardial infarction) in 2700 patients who were being evaluated for diagnostic purposes. None of the patients had previous coronary angiography, coronary revascularization, or Q-wave myocardial infarction. The SPECT images were normal in 2027 patients (group 1) and abnormal in 673 patients (group 2). Within 6 months after thallium imaging 53 patients in group 1 (3%) and 242 patients in group 2 (36%) underwent coronary angiography (p=0.0001). The patients who underwent coronary angiography had higher pretest probability of coronary disease (group 1) or more perfusion defects (group 2) than patients who did not (p=0.0001 each). Coronary revascularization within 3 months of coronary angiography was performed in 1 of the 53 patients (2%) in group 1 and in 87 of 242 patients (30%) in group 2 (p=0.0001). Among the remaining patients who had coronary angiography but were medically treated there were no hard cardiac events in group 1 but there were 15 events in group 2 (p=0.02). The results of exercise SPECT thallium imaging are important in patient management and outcome. Coronary angiography, coronary revascularization and events are rare in patients with normal exercise SPECT thallium images. Funded in part by the Sidney Kimmel Cardiovascular Research Center. Presented in part at the Forty-fourth Annual Scientific Sessions of the American College of Cardiology, New Orleans, La., Mar. 19–22, 1995.